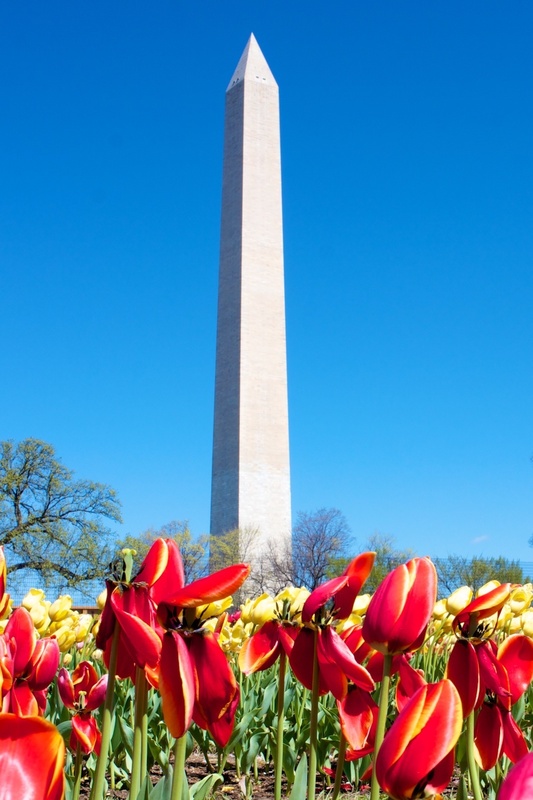 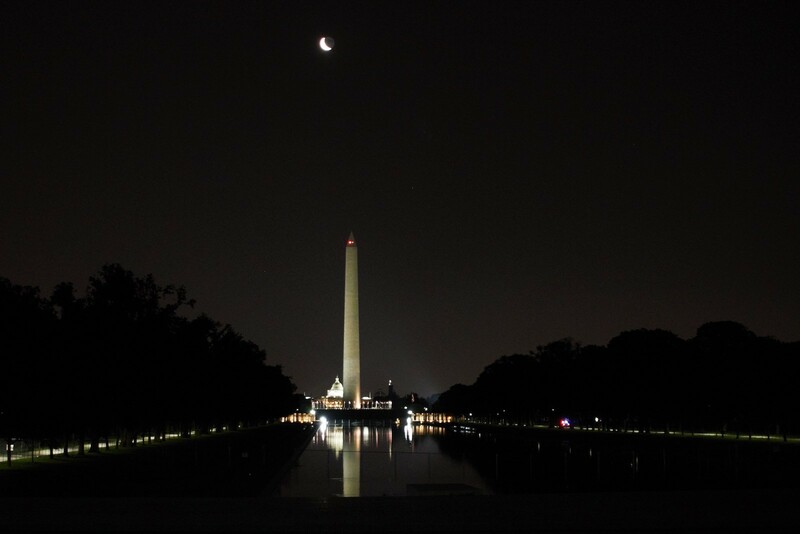 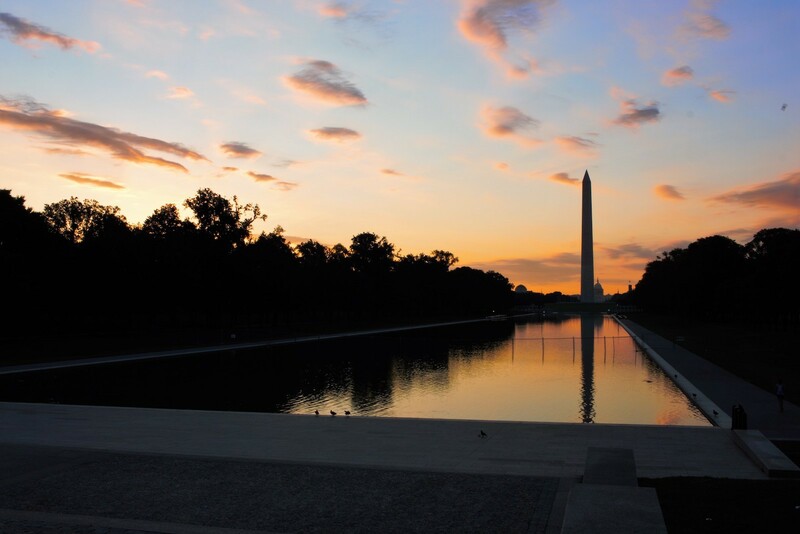 Please be aware: The Washington Monument will be closed to visitors until the Spring of 2019 as it undergoes complete elevator replacement. 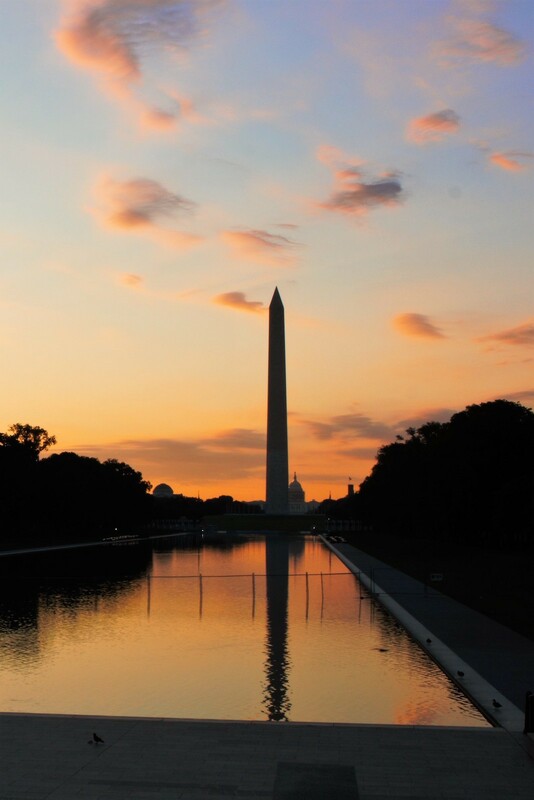 The towering Washington Monument dominates the skyline of Washington, D.C. 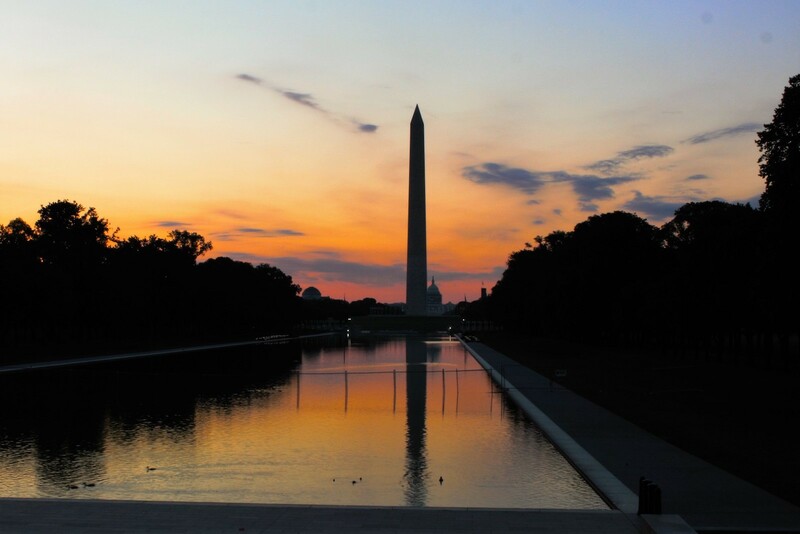 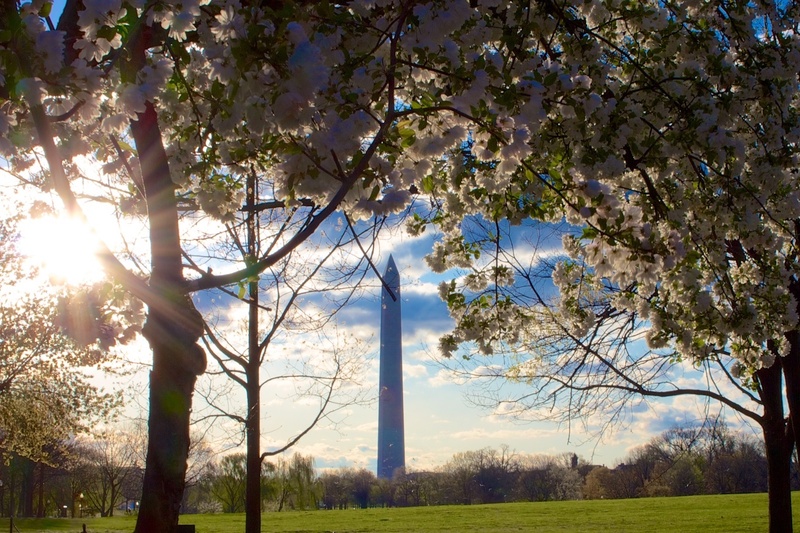 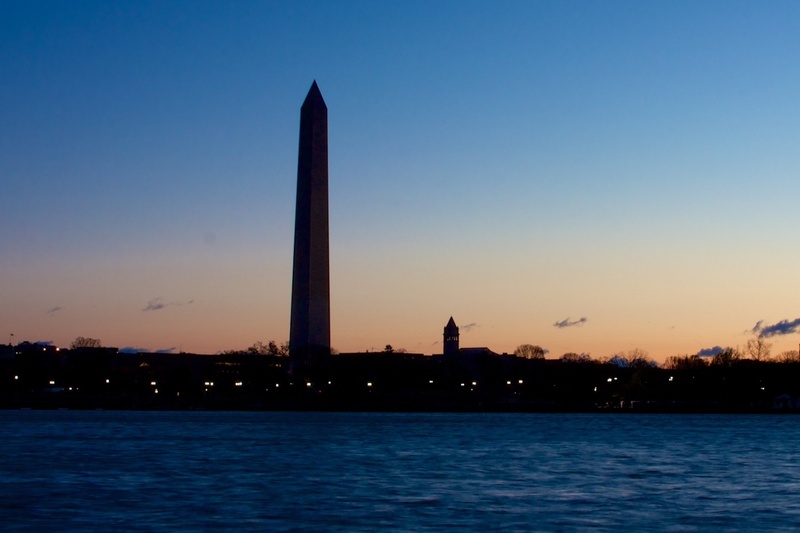 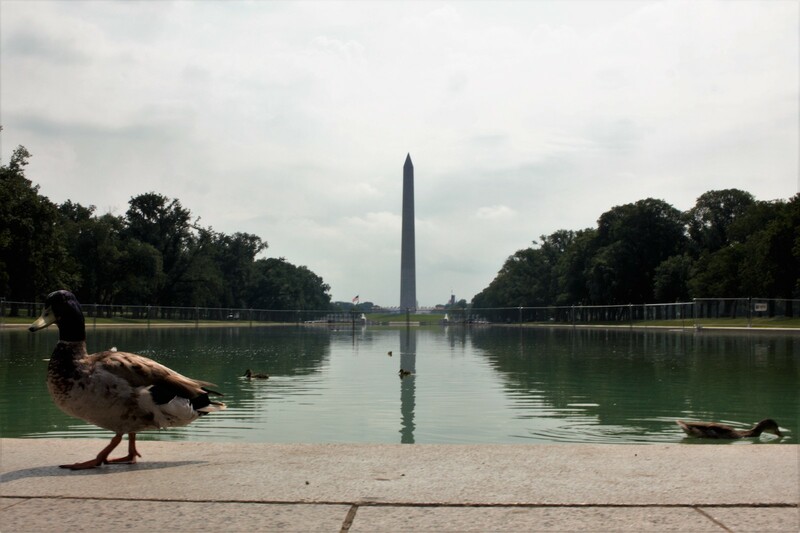 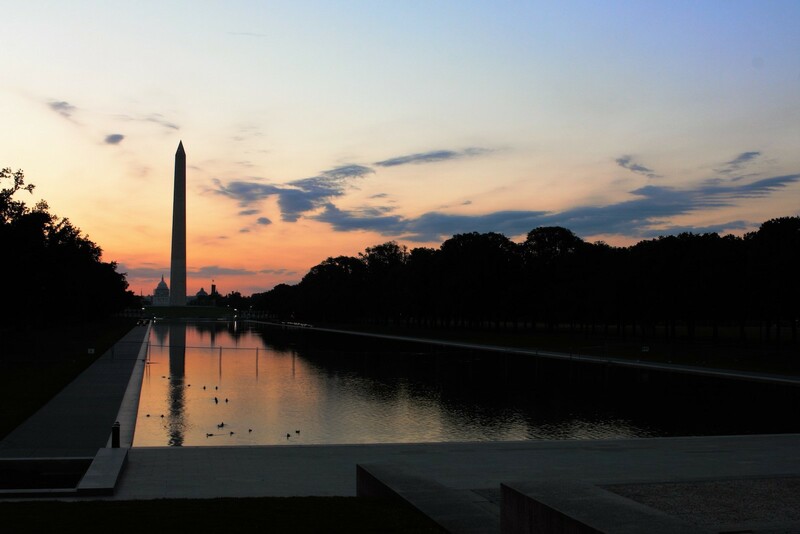 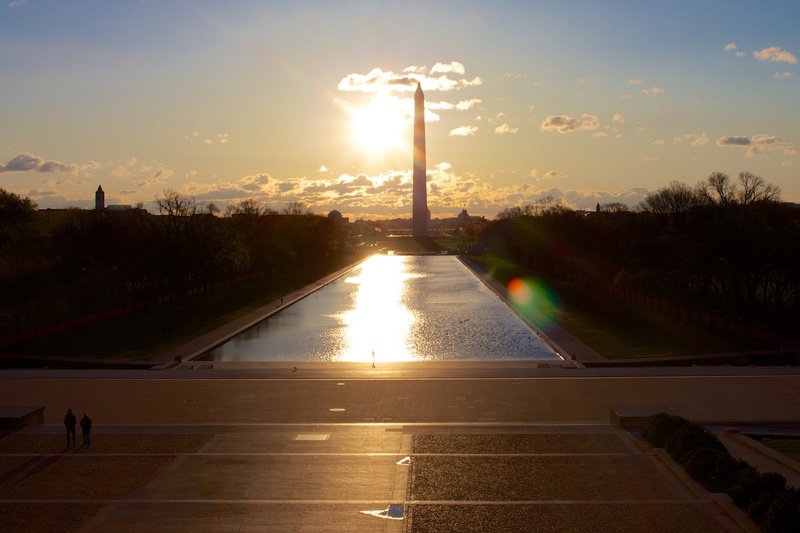 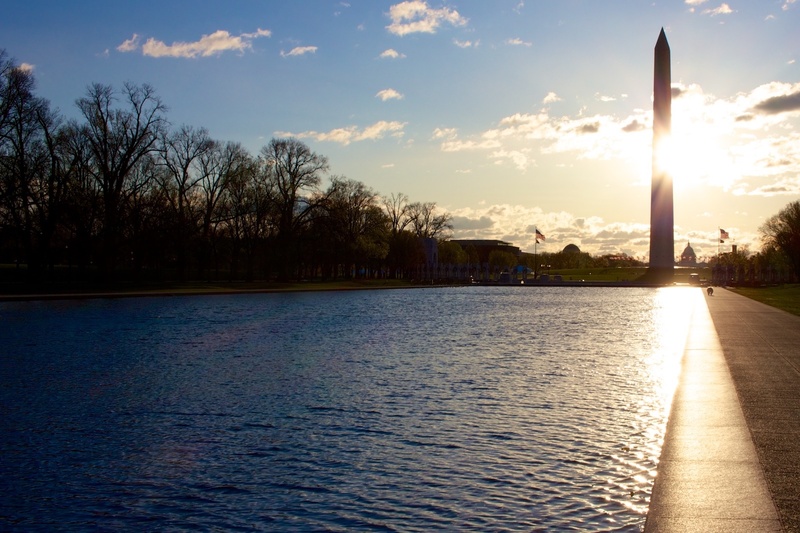 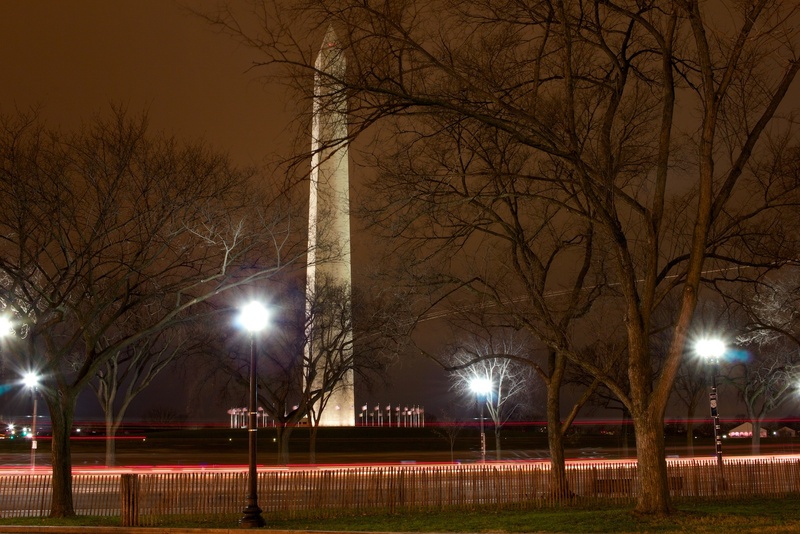 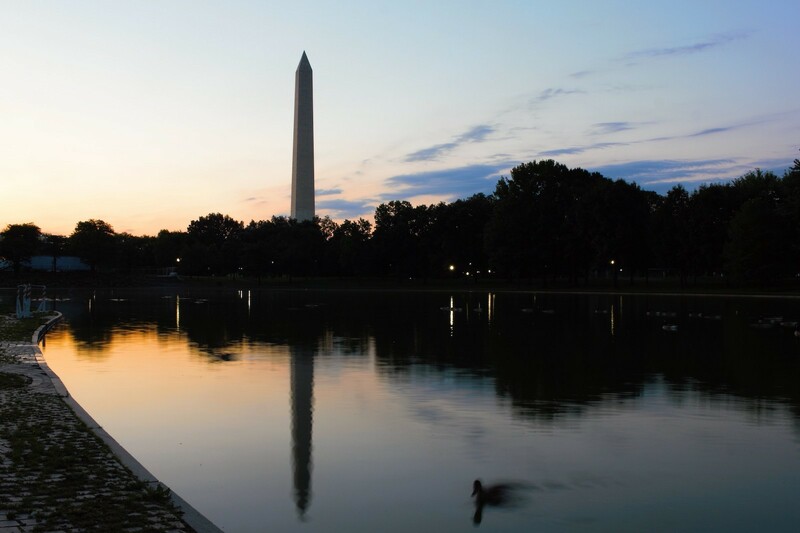 The 555-foot tall marble obelisk is the most pronounced object in the city, and serves as a wonderful orientation point for touring the National Mall. 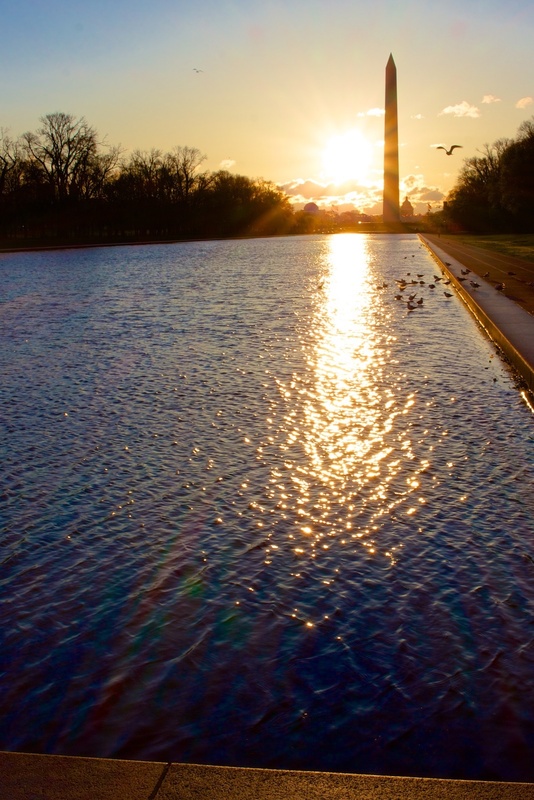 It also serves as a magnificent viewing platform, allowing half a million visitors per year access to its apex. 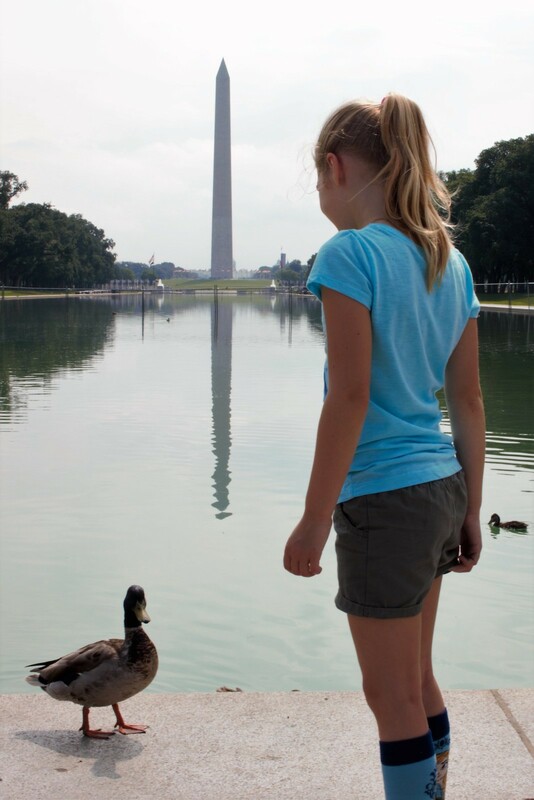 Tickets are necessary In order to visit the top of the Washington Monument, although they are free of charge. 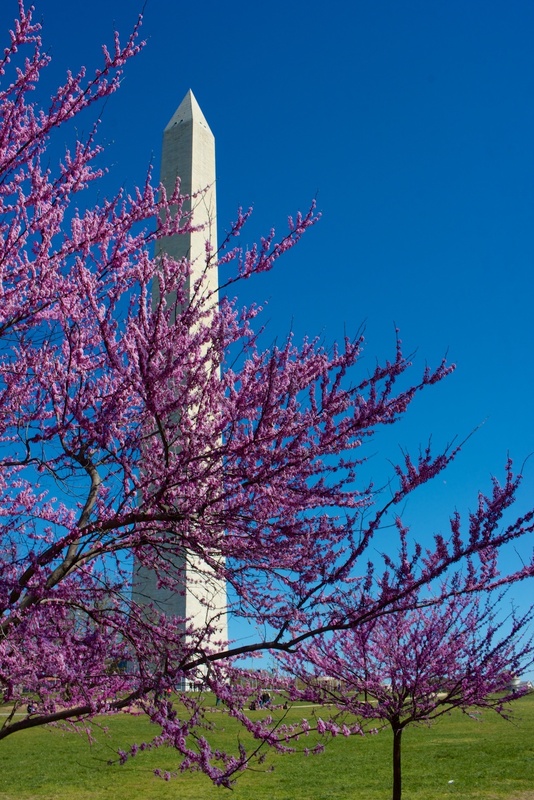 Tickets can be obtained on the day of your visit at the Monument Lodge on 15th Street – adjacent to the Monument, but we recommend buying them online ahead of your visit. 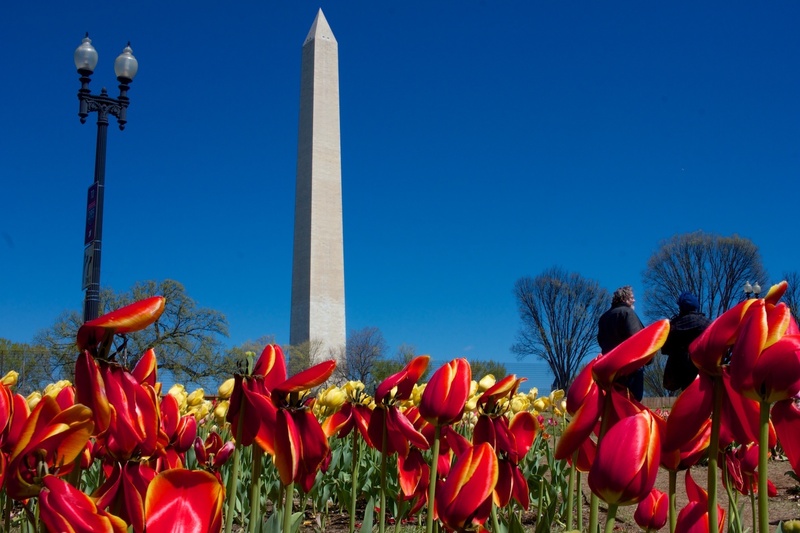 On the Washington Monument’s website tickets can be purchased several months in advance, although an exact date and time is necessary, as is paying the $1.50 per ticket service fee. 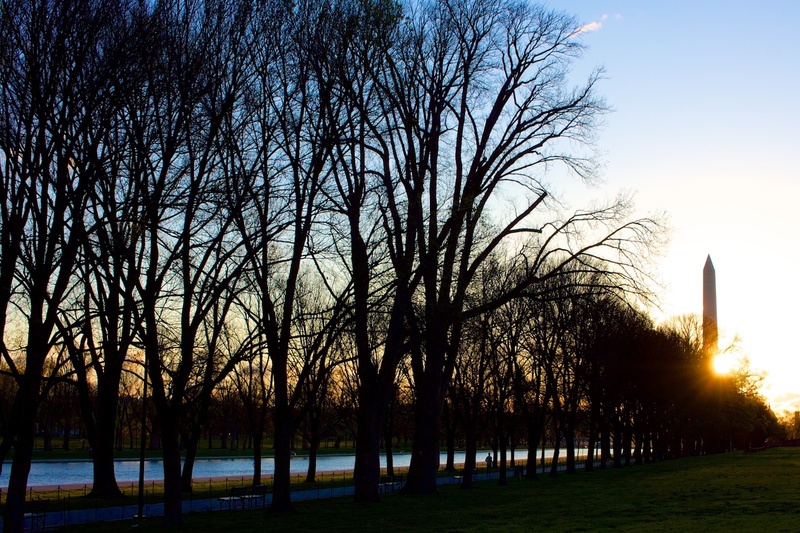 Helpfully, the ticketing website lets you see the number of available tickets for every hour of every day so you can see how necessary they are. 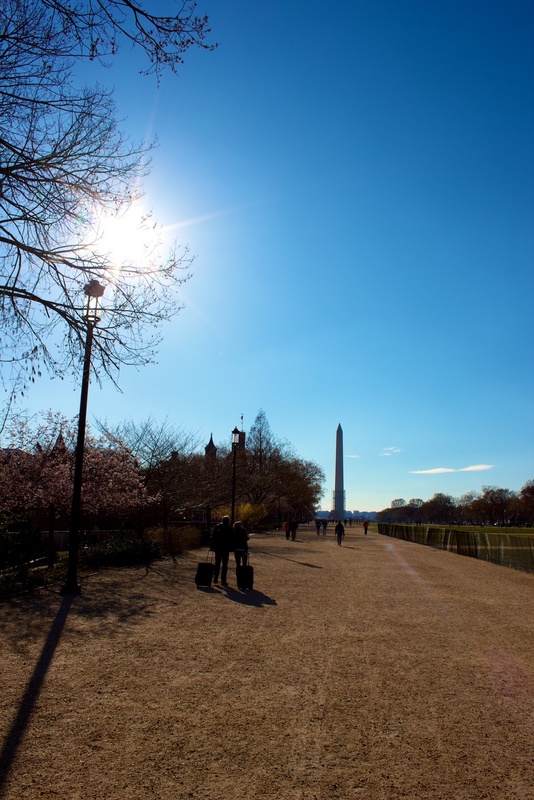 If you choose to line up for same-day tickets, be warned that they will be very scarce in the summer months, where lines start forming as early as 7 am with the ticket office opening at 8:30 am. 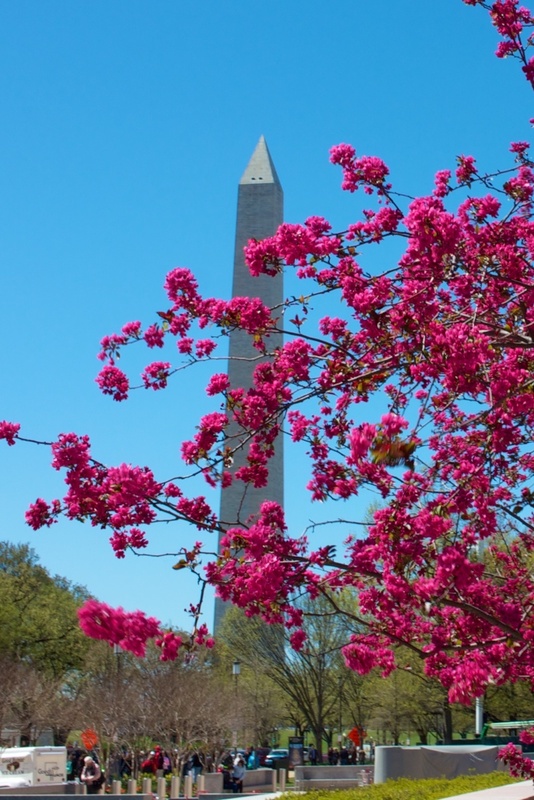 Upon making it inside – after considerable security – you are whisked by elevator to the 500 foot level to see 360-degree views of downtown D.C. On the ride, the elevator operator points out many of the memorial stones, which were donated by various states, cities, countries, and organizations. 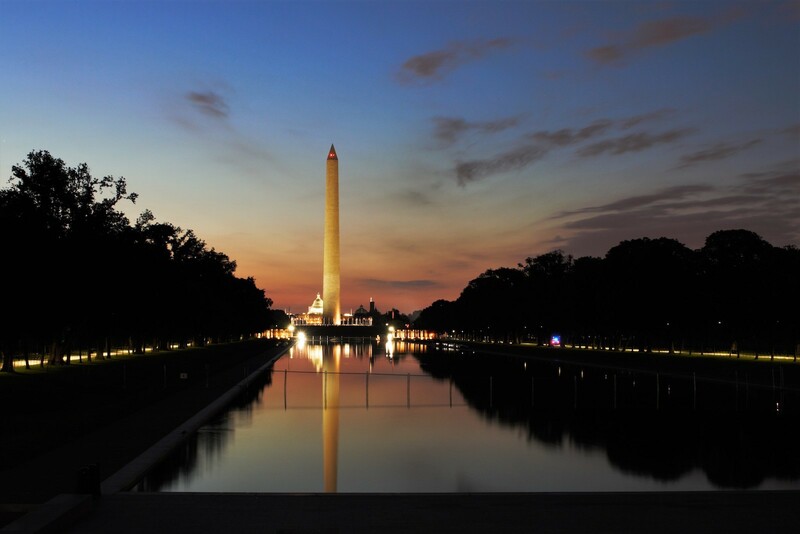 The 500-foot observation level, and the level just below it, are also home to historical photos and information about President George Washington as well as the fascinating construction process of the monument built in his honor. 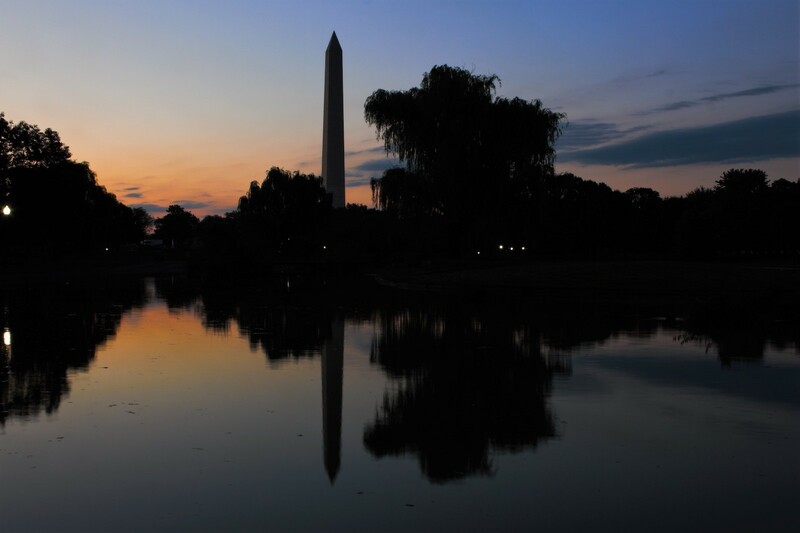 Construction was begun on the Washington Monument in 1848 and continued until 1854, when the private donations ran dry. 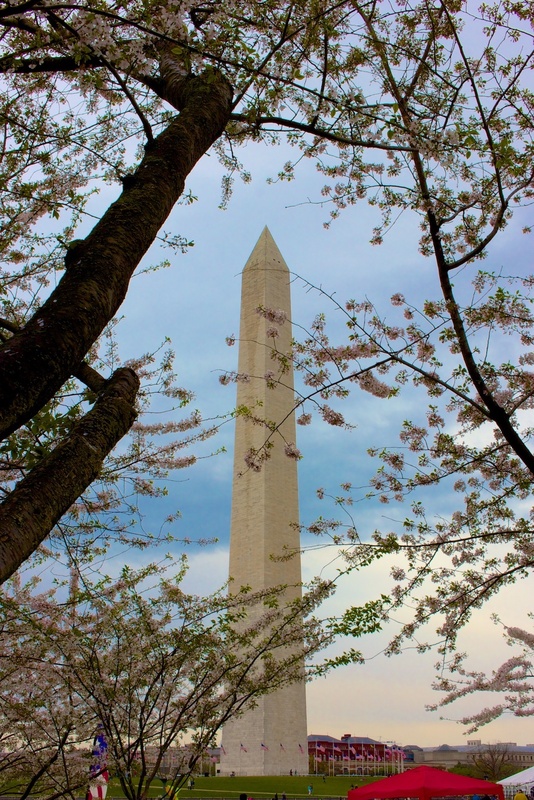 Due to Congressional disinterest and the eruption of the American Civil War, the monument sat as a 152 foot marble stump until construction resumed in 1879. 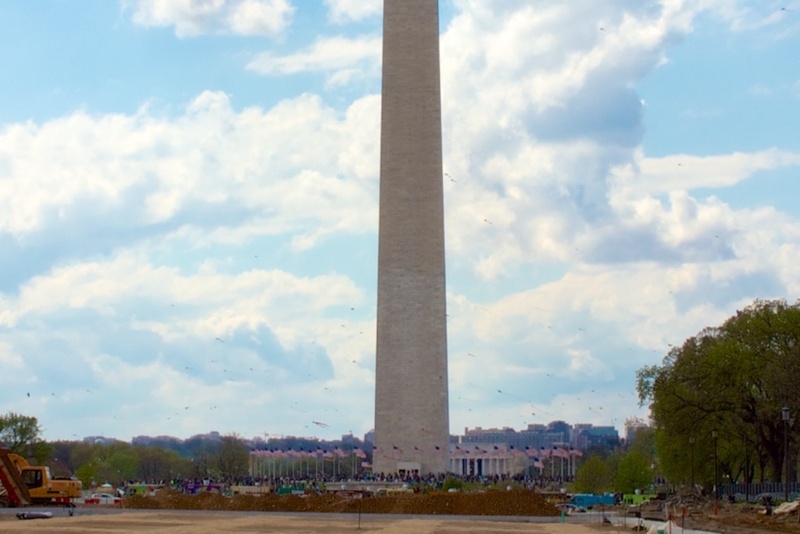 As a result of the inactivity – and the marble coming from different quarries – there is a noticeable difference in the monument’s color on the bottom and the top. 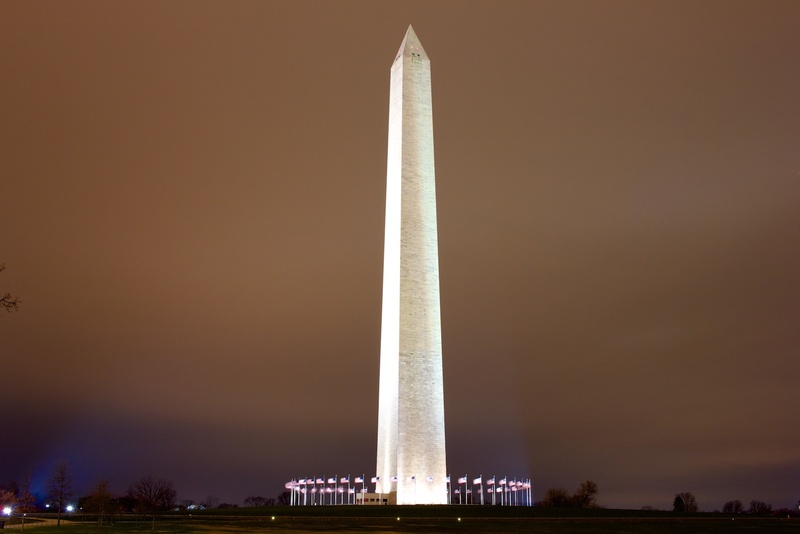 The 100 ounce, pyramidal, aluminum capstone of the monument was placed on December 6, 1884 and was the largest single piece of aluminum at the time…a time when aluminum was priced similarly to silver. 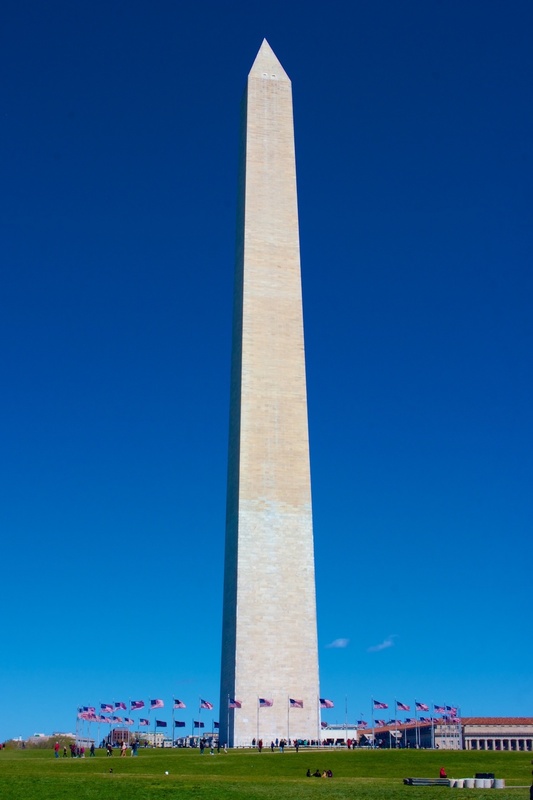 The capstone acted for many years as a lightning rod and has actually lost about 3/8 inch of its once 8.9 inch height due to its service as such. The placing of the capstone signified the completion of the Washington Monument, which made it the tallest freestanding structure in the world. 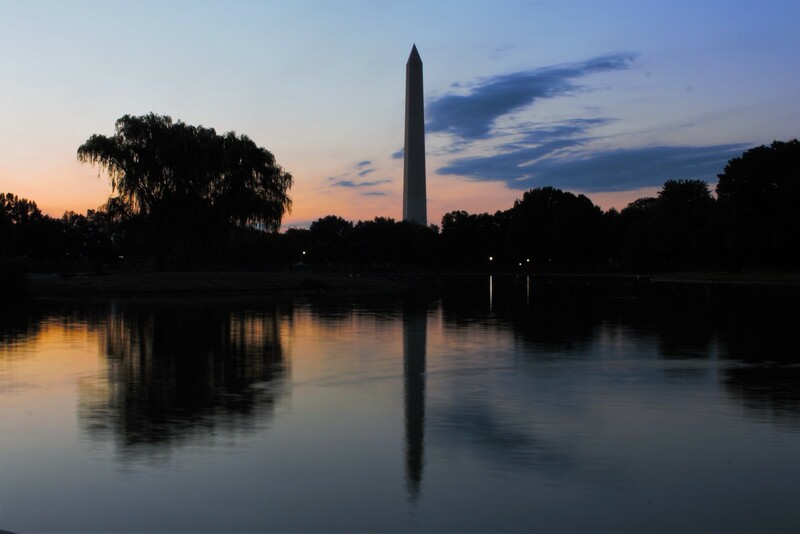 It held this designation for over 4 years until Paris’ Eiffel Tower was finished in 1889. 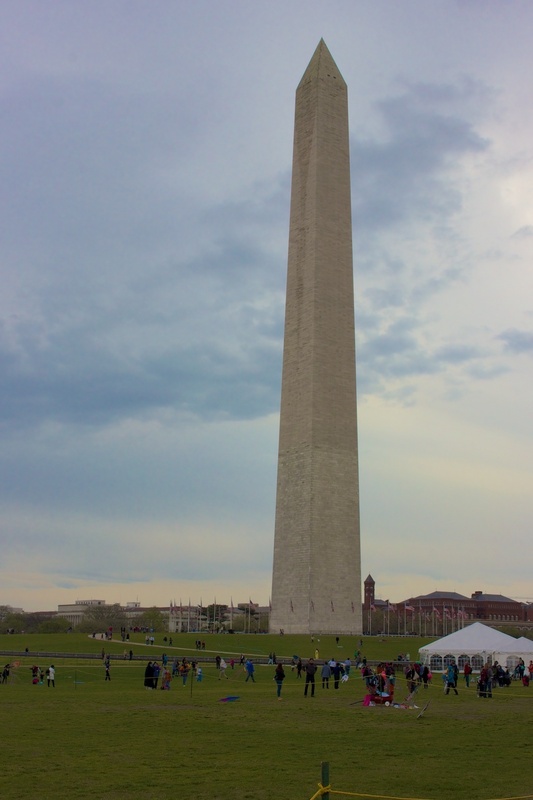 The Washington Monument remains one of the tallest stone structures in the world (possibly the tallest, although exact rankings are debated). 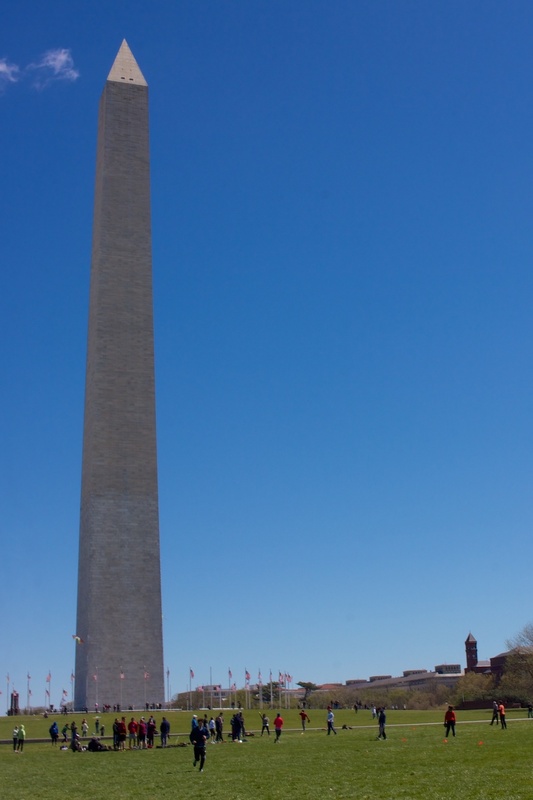 An engineering marvel, the marble blocks are held together almost solely by gravity, with the visible mortar acting basically as weatherproofing. 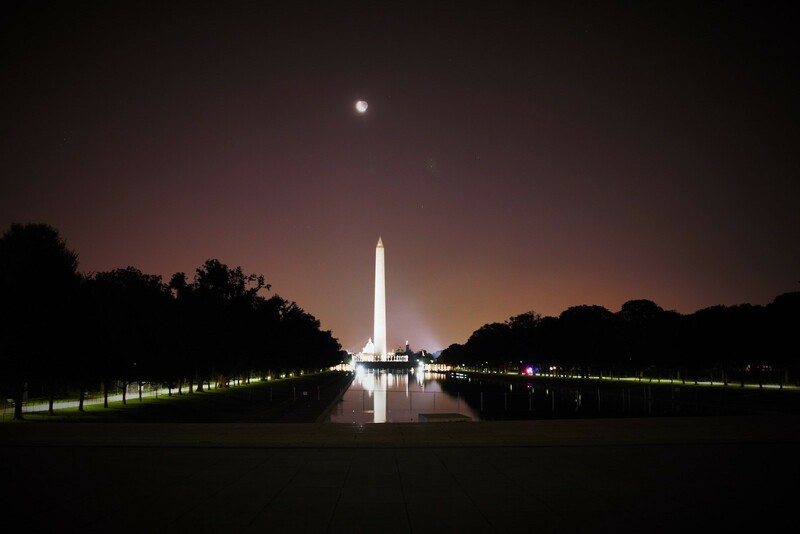 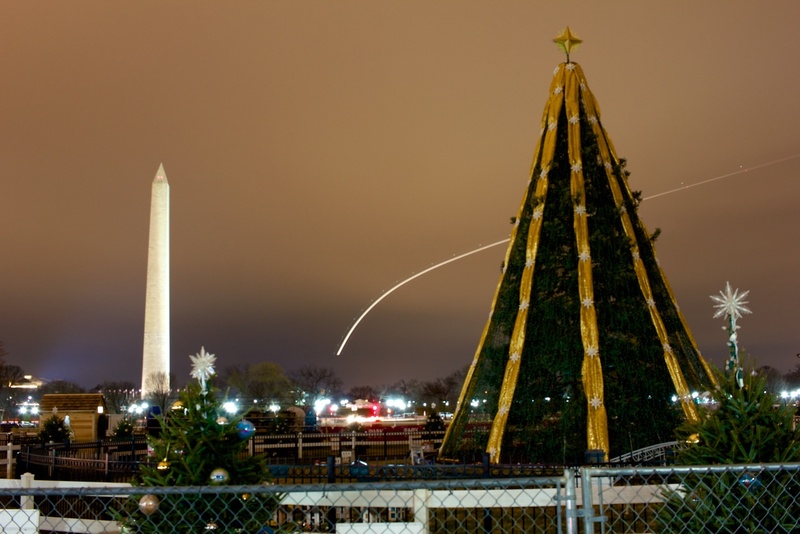 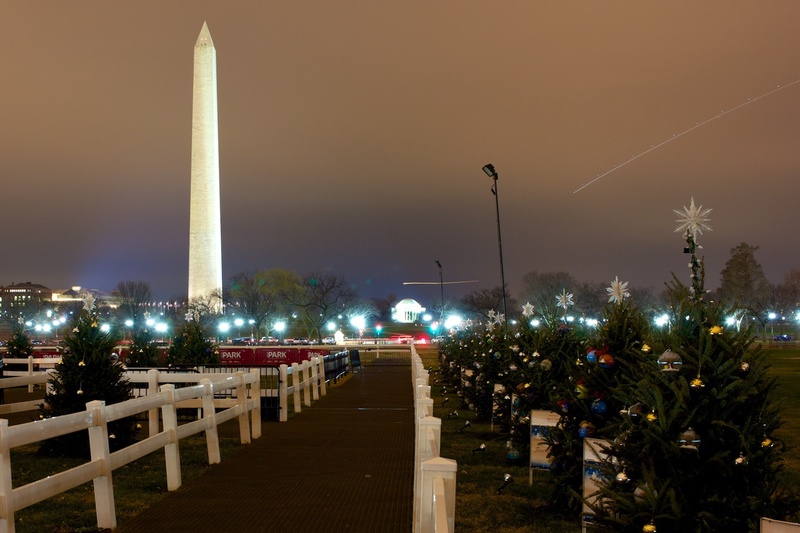 The Washington Monument has withstood blizzards, hurricanes, and millions upon millions of visitors for over 130 years. 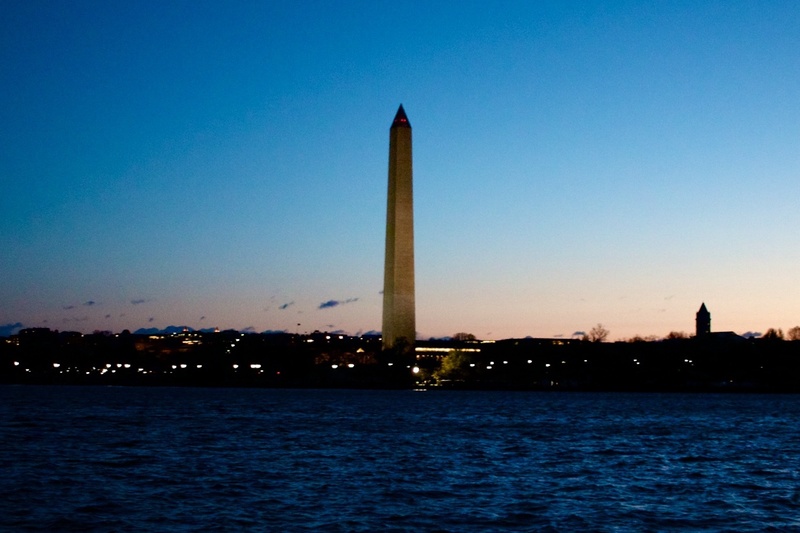 It stands as a beacon for tourists, patriots, and engineers, piercing the Washington, D.C. sky as a reminder of what can be accomplished.